The holidays are right around the corner!! Is your blog and business ready? Don’t make these holiday blogging mistakes as this is a great time of year to create excitement with your audience and, of course, make more sales, too! 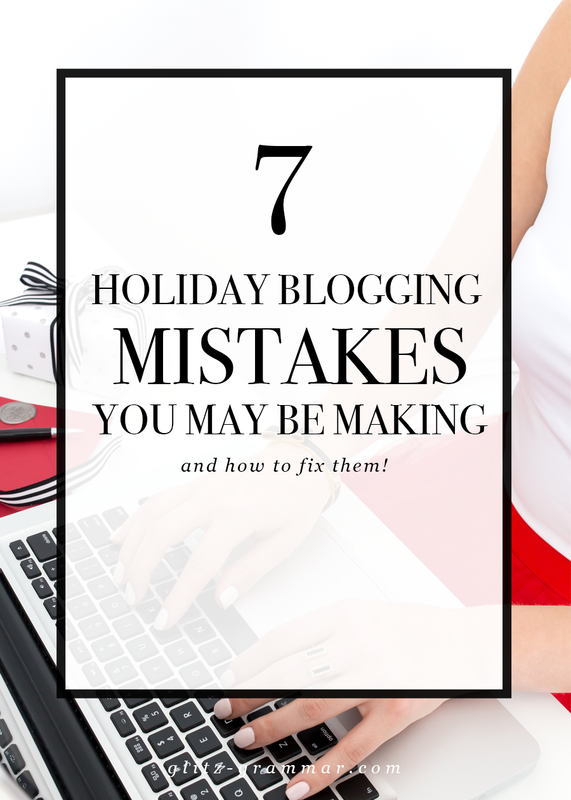 Here are 7 holiday blogging mistakes you may be making, and how to fix them. First comes planning, then comes blogging. And one of the biggest holiday blogging mistakes I see is not planning out your content early enough. The holidays are such a great earnings opportunity, and a great time to step up your blogging frequency. If you usually post only once or twice a week, you can easily up this during the season! It’s good for traffic and engagement, too. Holiday gift guides work for just about any niche, and are an easy way to fill up some content. You can also partner with brands or businesses in your community for giveaways on top of your regular content. The possibilities are virtually endless! So you’ve planned out epic holiday content and now you’re ready to publish it. But wait, when are you publishing this exactly? I hope you’re not publishing that holiday gift guide too close to the holiday! It takes search engines a few weeks to crawl your content. And it can take awhile for Pinterest to start circulating your images, too. So what’s the workaround on this? I recommend publishing as much as 45 days in advance if you can. If you don’t want your audience to see your content that far in advance, publish it and then “make it sticky” as in, put it on your homepage, on a later date closer to the holiday. You can also wait to circulate it on your other social media channels and newsletter when it’s closer to the actual holiday. Growing your business means investing in it, and I almost always make an investment or two come Black Friday. The sales are there, so seize the opportunity! If you’re just starting a blog, GoDaddy gets you going for $1/mo! If you need stock photos, I highly, highly recommend a stock membership through Haute Stock! Get it while it’s on crazy sale! Get serious about growing your email list this year: ConvertKit is the way to go–take advantage of the savings! You guys, the holidays are such a good time to pitch and secure partnerships! This goes for both bloggers and small business owners; partner with each other, partner with others in the community. Partner, partner, partner! If you’ve never pitched a brand before, join an online community like Style Collective or My Haute Society. 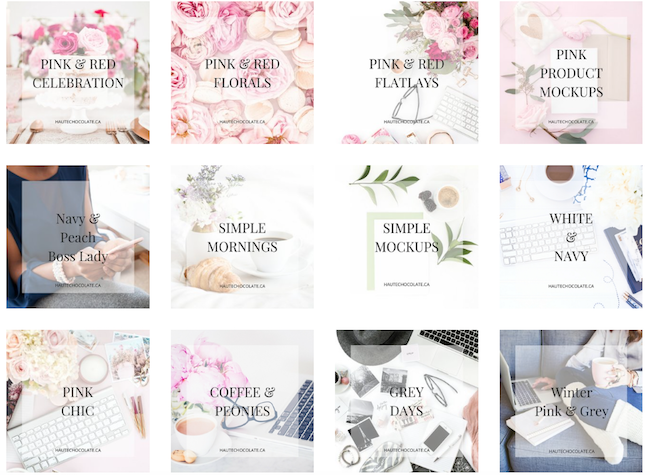 They both have fantastic resources for bloggers and business owners and each has their own course (included in membership) that covers pitching brands. 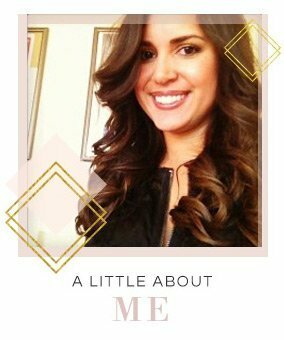 I’ve used the resources in both communities to network with others and grow my business. I even landed brand partnerships thanks to their collab guides! As a rule of thumb, you should always survey your audience to get to know them and see what they want! After all, the purpose of your content is to help them solve a problem. And the easiest way to do that is to simply ask! If you’ve been blogging for more than a year, chances are you’ve already got some holiday-related content under your belt. Make a calendar reminder to update these every year! You wouldn’t want a user to find an old gift guide and be met with outdated links or out of stock items. You can easily create a Google reminder for this, or a plugin like Broken Link Checker for WordPress can also help make sure all your links work. Expert tip: If you have a lot of holiday content, make sure it’s all linked together! Go back into your 2017 gift guide and include a link to your current 2018 gift guide. Do this with all of your posts so readers can easily find the newest content from you! This is also great for your SEO. Don’t make these holiday blogging mistakes; make Q4 the best yet by planning and publishing your content in advance, updating your old posts, pitching brands and investing in yourself and your business! What holiday blogging mistakes have you made in the past? Leave your comments below! Deck the blogs with loads of content! Be the first to know when the free holiday content planner is live. Woo-hoo, you're on the list! Your free holiday content planner will automatically be sent your way when it's live.